My family never celebrated or participated in Lent activities while I was growing up, I heard a lot about them, friends at school would choose something to abstain from for the Lent season, but we never touched it. 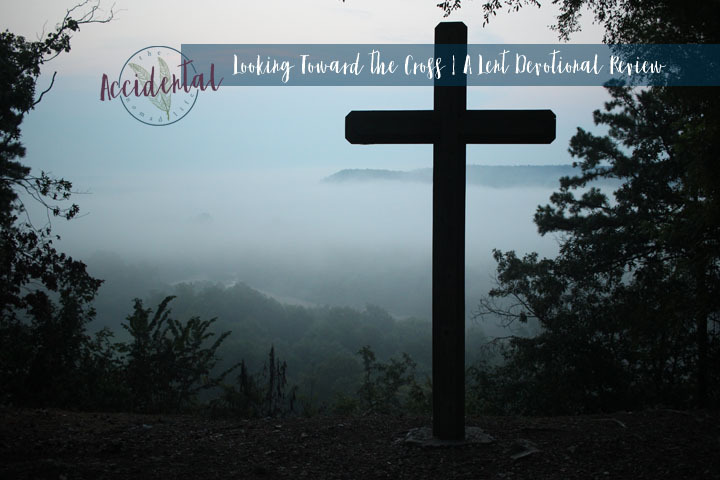 I was so excited to be chosen to help promote and review Looking Towards the Cross by Leighann Marquiss. Her introduction had me excited from the beginning. She wrote it so intentionally to create an applicable study for all types of families. Leighann Marquiss is the author of Showing Heart: The story of how one boy defied the odds, a memoir chronicling her family’s journey through the ups and downs of having a child with a congenital heart defect. Reading much like a novel, Showing Heart will make you laugh, cry, and appreciate the joy in your own life. You can read more from Leighann at www.leighannmarquiss.com. 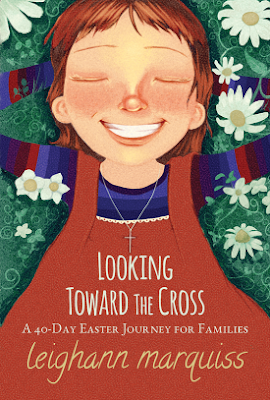 In the PDF download of Looking Toward the Cross, she includes a complete list of things that you will need for the projects that she includes on each day - she does mention that the projects are optional, designed to develop extra tangible meaning on the days for the children. Each entry is a perfect length for short-attention span kids, but still packed with meaning. I especially love that the insights that she shares on each passage stick so closely to the truth of the Scripture - less feeling - more Scripture backing! She made Saturdays to be a little special, a little different, and more optional than the other days. She describes them this way: "I also made Saturday optional as families have different schedules on the weekends. The first five Saturdays explain one of the different elements of the observance of Lent: Prayer, Penance, Repentance, Almsgiving, and Self-Denial. The final Saturday of the season is dedicated to a family service project." The second week is especially precious as Leighann walks through the way to salvation. One step each day. The activities that she has included are such clear additions and visuals - easy to remember the lessons from each one. The do not take much time, or resources, and still pack a huge impact for each day's lesson. I have to say, after doing CEF for three years and being familiar with their games, theories and teaching methods, Ms Marquiss has done a phenomenal job of incorporating all of the important aspects of teaching children effectively. One of my favorite parts of the whole devotional was from the introduction where Lieghann says this: "I believe practices such as self-denial during Lent are personal and shouldn’t be taken lightly. I believe they shouldn’t become ritualistic in nature and hesitate having my children grow up with a practice they haven’t chosen for themselves. Although I explain self-denial on the fifth Saturday, it isn’t an active part of this devotional. This family book is really just a 40-day devotional written specifically to prepare little hearts for the main event of the resurrection." Ultimately her heart behind the whole book is to point her children (and others) to Christ, and the importance that Easter plays in our Faith. The entries are short, pointed, and meaningful; the activities are simple, quick, and applicable; the message is clear, concise, and consistent with Scripture. She has done a beautiful job of walking families through Lent with a solid Christ-focused message and direction. I am so looking forward to Lent coming up, and going through this book as a family. I believe it is going to provide a very meaningful time of year for us this year and those to come. If you would like to purchase your own copy (and I HIGHLY recommend you do!) you can head to her website: www.leighannmarquiss.com/books. The PDF is only $7.99 and the return you get from it is sure to be priceless. Kayla - thanks so much for reviewing the devotional. I'm always grateful and inspired when others find Jesus in my work. Hoping you and your readers enjoy it immensely. I'm so excited to come across this post. We started Lent activities last year, but this devotional would be such a great addition!